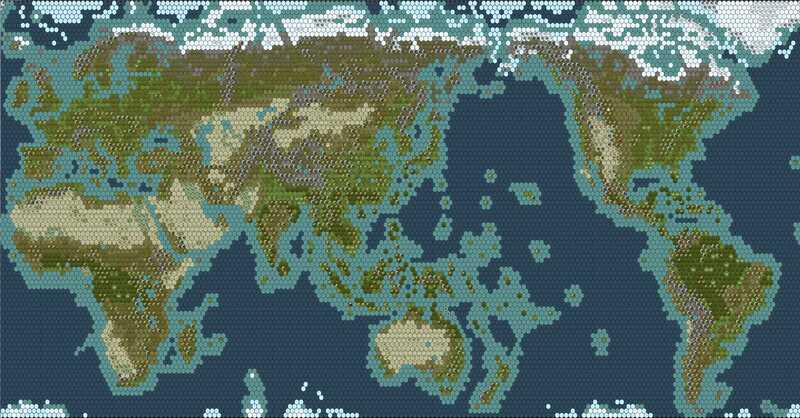 Hex map of the world. Not guaranteed accurate. Looking at it at this scale, I am reminded of beadwork. And of the fact that in high-quality chainmail, each link is connected to 6 other links. And scientists facepalm, as city worker finally get around to fixing something after decades – and in the process destroy a living lab.